I finished Left to Tell. I've been trying to process it ever since, and I'm not sure how well I'm doing. In some graphic detail, the author recounts what she saw, heard, and felt. Remember that this is about her surviving the Rwandan genocide, so these descriptions include piles of corpses all around her, accounts of how family members died, and what the government did to encourage the entire thing. Not to mention the next-to-nothing that the U.N. and other entities did, even in full knowledge of what was happening. I was left to think about what possesses people to commit such actions, which can be called nothing short of evil. I was given a copy of Jonathan Livingston Seagull, which I'd heard of but have never read. This is about a seagull who spends all his time trying to perfect flying: exploring what he can do, testing his limits. The other gulls chastise him, saying, "The only reason we fly is so we can find food." But Jonathan keeps thinking that flying and life is meant to be more than that. He continues on with his belief that seagulls are meant to be more than scavengers. Eventually he begins teaching others this truth as well. People will see allusions to Jesus, but I think it may be more Buddhist, evidenced by Jonathan's encouraging of others to find freedom from life's limitations to attain something higher, while denying that he's neither the Great Gull, nor a relation. In addition, there is a conversation about how there's no true and final heaven - rather a continual process toward perfection. 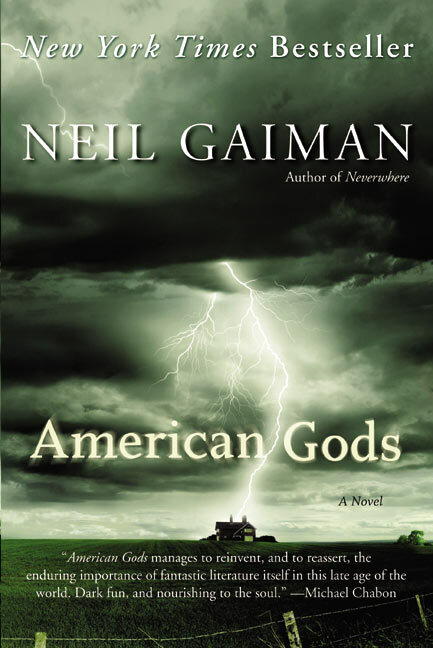 Finally, I read American Gods by Neil Gaiman this week, he of The Sandman graphic novels. The premise is that when various groups of settlers, immigrants, explorers, and occupiers came to America, they brought their religion and, in a literal, tangible sense, their gods with them. Then over the centuries as these religions died out or lost devotees, these gods became stranded in America, many of them looking like us and most of them older and more frail, lacking energy due to not being worshipped. Other gods on the rise such as those of media and technology make appearances as well, and want to rid America of these older gods. An ex-convict named Shadow gets caught in the midst of all of it. It gives lots of good commentary on what America worships, and also an interesting take on religion and how gods survive. Gaiman's writing is just as good, if not better, here than in the comics. I'll definitely be checking out more of his novels. Ephphatha Poetry has been added to the bloglist.